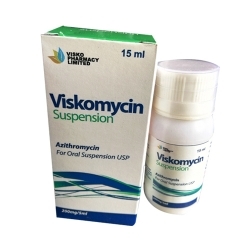 Azithromycin injection is used to treat bacterial infections in many different parts of the body. It is also used to prevent Mycobacterium avium complex (MAC) disease in patients infected with the human immunodeficiency virus (HIV). Azithromycin belongs to the class of drugs known as macrolide antibiotics. It works by killing bacteria or preventing their growth. However, this medicine will not work for colds, flu, or other virus infections. Azithromycin injection may be used for other problems as determined by your doctor.